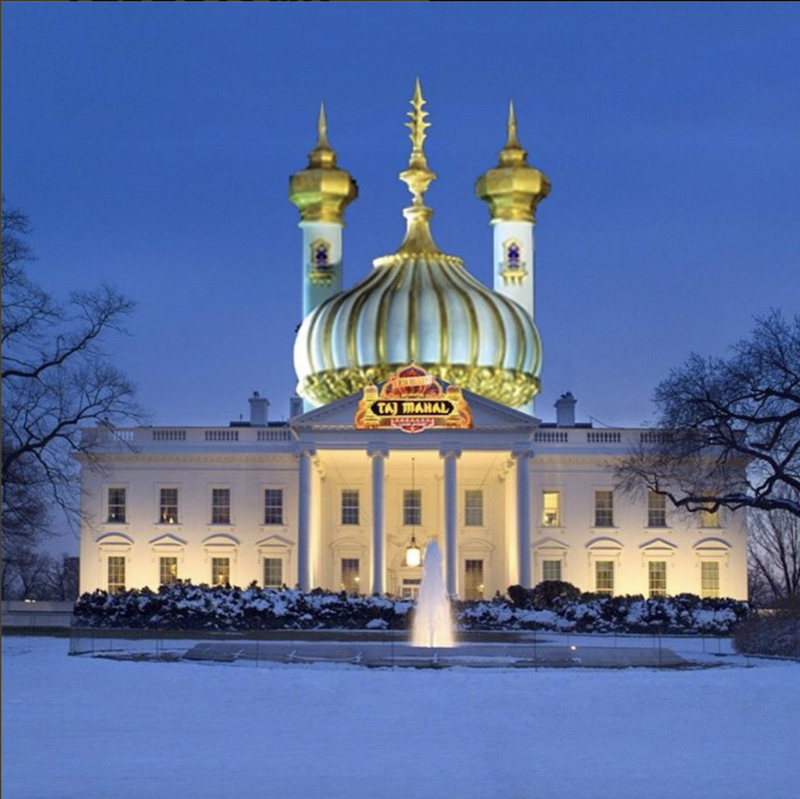 Designers and architects react to Donald Trump Image by The Postillon. 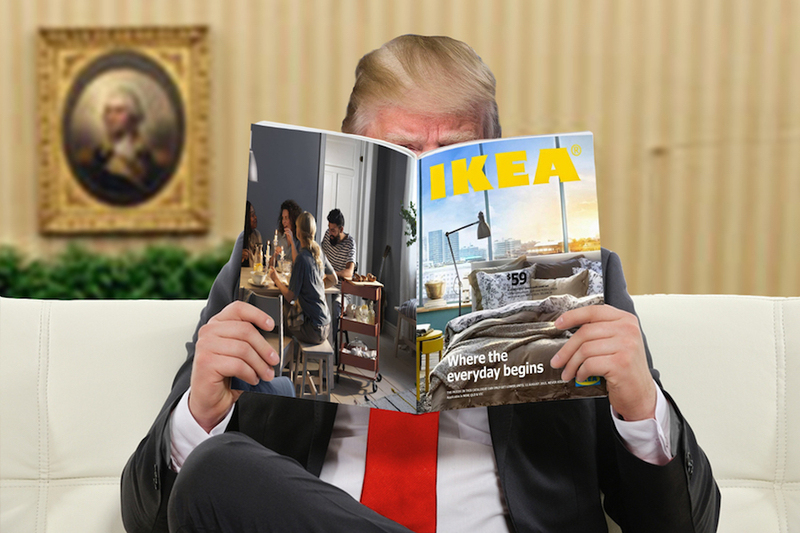 TRUMPITECTURE – Ikea flat-packed Børder Wålls, Mexican Trumpiñatas and a Taj Mahal extension for the White House. 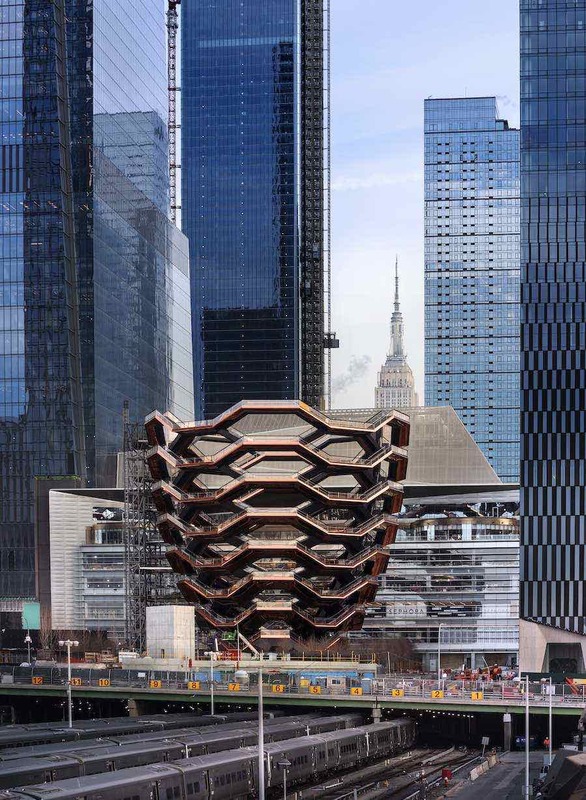 While Melania and Donald Trump redecorate their new home with mysterious interior designer Tham Kannalikham, the architecture and design community scratched its head and reacted with harsh comments and tongue-in-cheek designs. 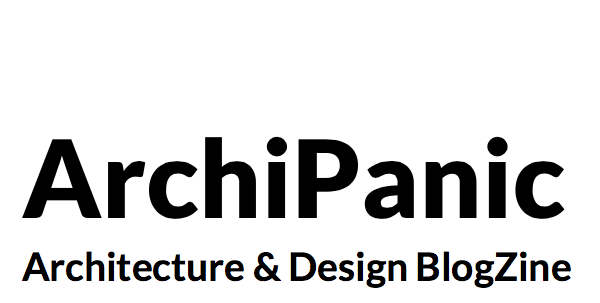 RELATED STORIES : Read more on Donald Trump related news on Archipanic…. During and after the new President’s crowning ceremony, Yves Behar, Othr founder Joe Doucet and more influential designers and architects joined the worldwide anti-Trump parade. Even Steven Holl, Daniel Libeskind and Snøhetta along with Microsoft’s Bill Gates and Apple’s Tim Cook expressed their concerns. 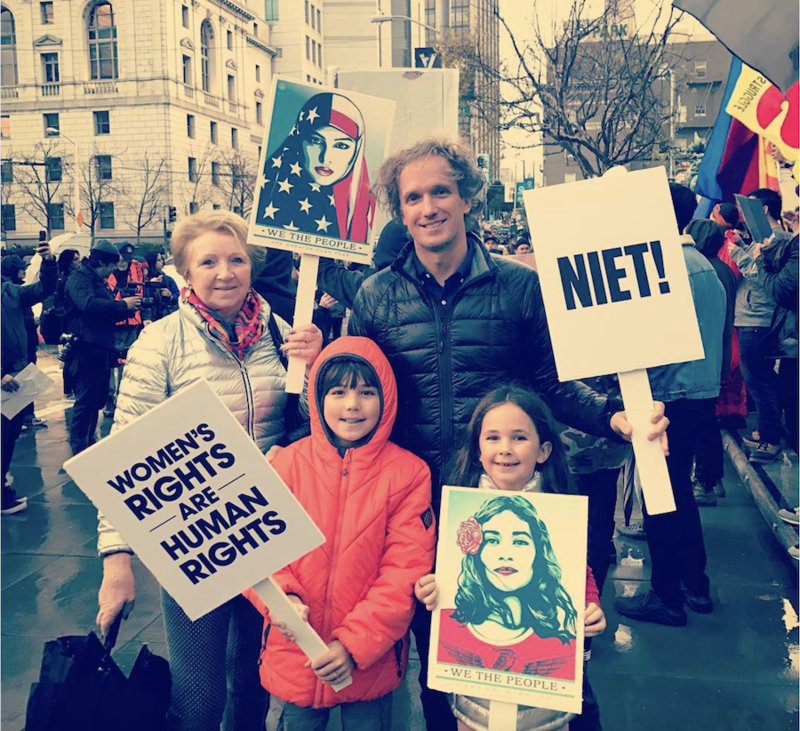 Yves Behar demonstrates with his mum and kids “3 generations of us saying #unity #womensrights #notmypresoident” – Via Instagram @yvesbehar. A red background frames a tilting letter T inside a white circle. Nazi-branding inspired American industrial designer Tucker Viemeister to design an ominous Trump logo. 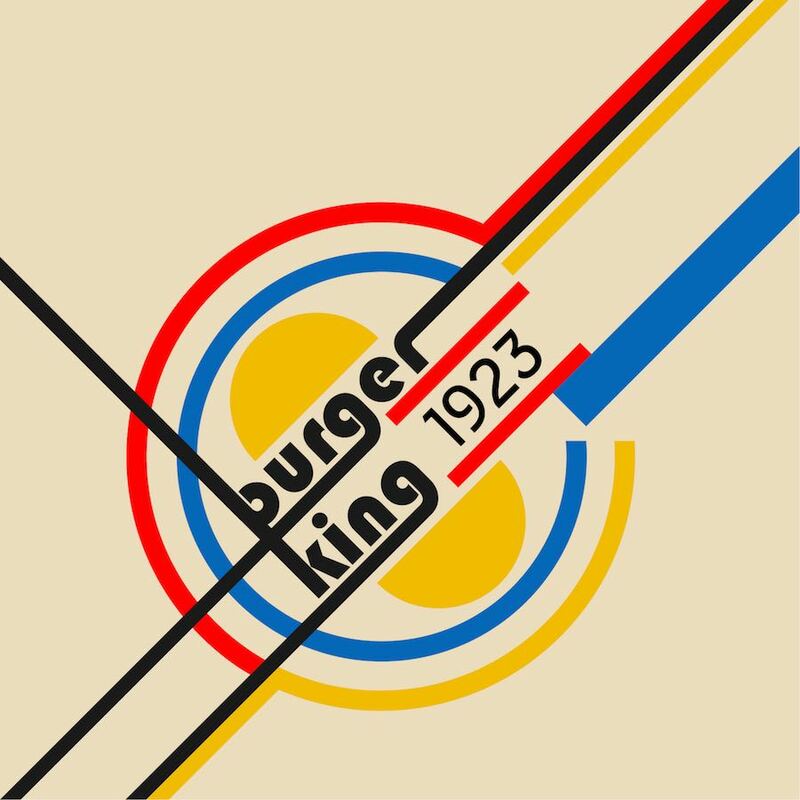 “Design can show what bad things have in common, like this logo I created for Trump’s campaign of bigotry and violence.” said Weimeister. 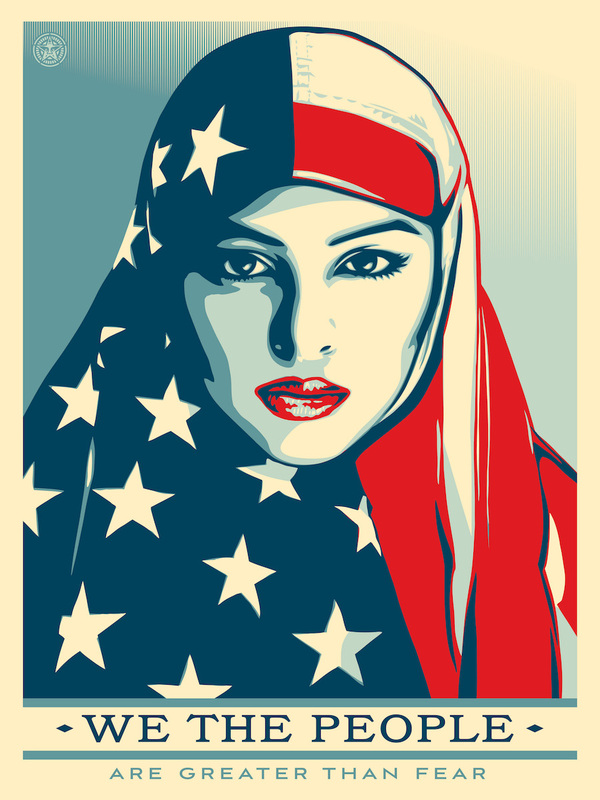 Provocative Trump Logo – Image by Tucker Viemeister. 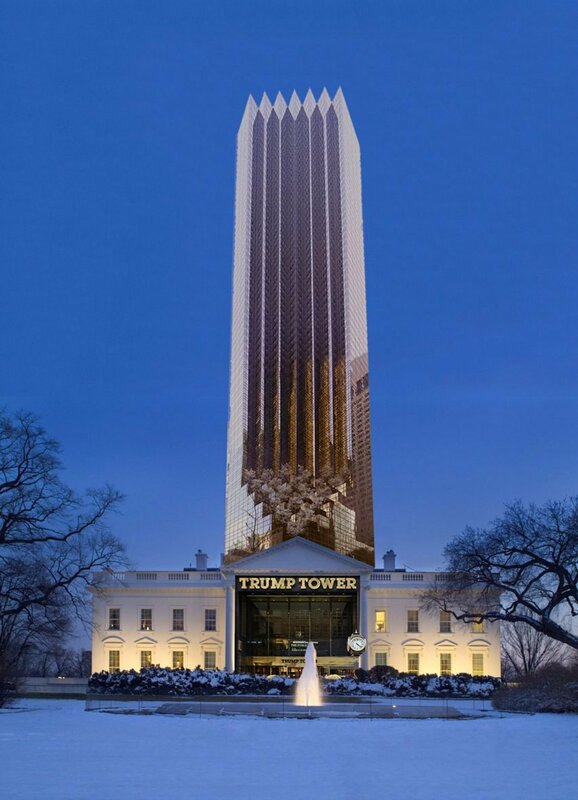 Toronto based studio/collective Partisans imagined tongue-in-cheek developments of the White House. “The series is our attempt to bring some levity and satire to an otherwise very dark moment in history” said Partisans director of content and culture Nicola Spunt told Dezeen. After the announcement of building a wall on the US-Mexico frontier (and even making it to pay by Mexicans), The Postillon released a spoof design to build cheaply the so longed divider. “All they need to do is pick it up in a van from the nearest IKEA branch and put it up where they want it to go. 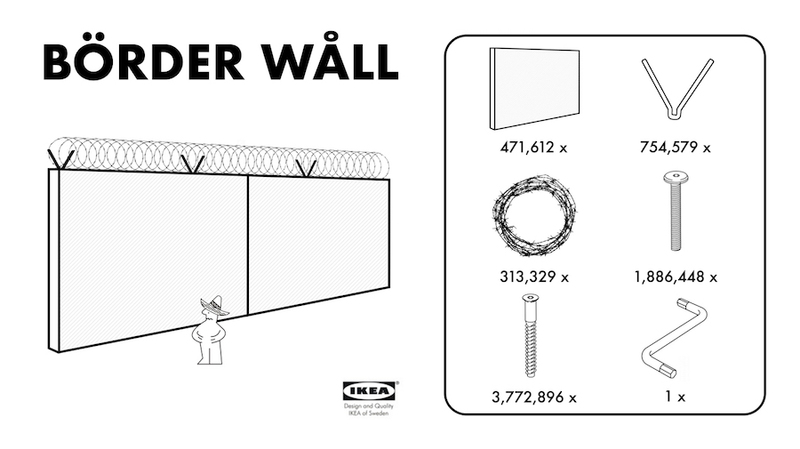 Totalling US $9,999,999,999.99, “Börder Wåll” is significantly cheaper than a conventional wall” say at The Postillion. 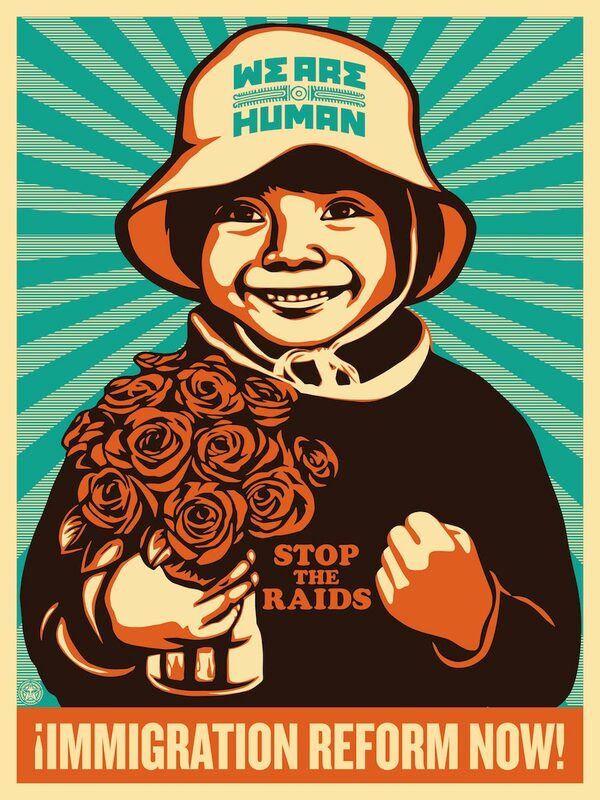 Estimates suggest that a conventional wall would cost between US $15 and $25 billion. 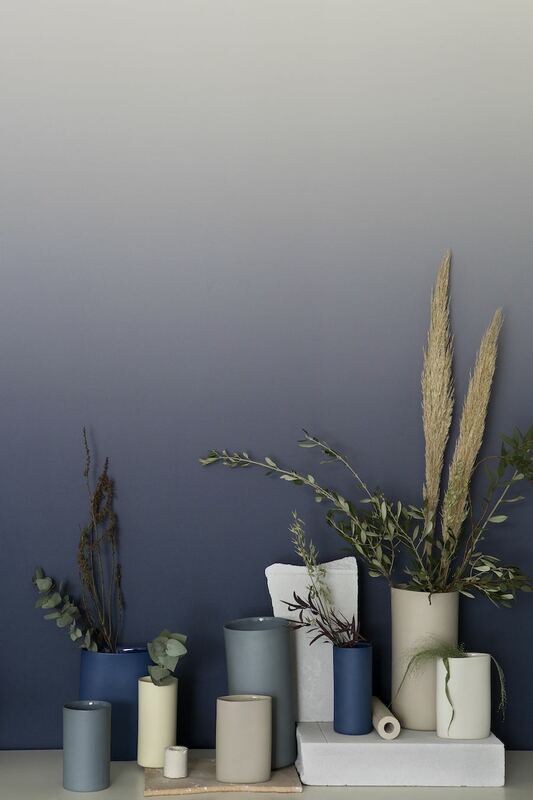 Ikea Børder Wåll – Image by The Postillon. 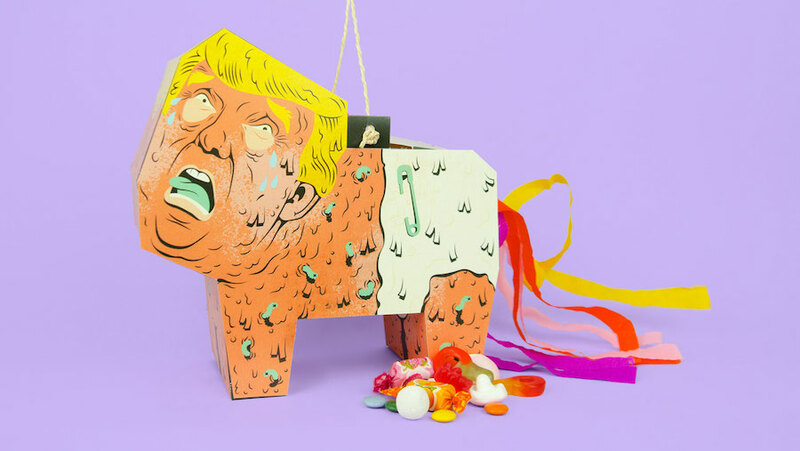 Swedish designer Caty Aguilera responded by creating a trumpish piñata that invites to literally hit the President in order to ease future frustrations. Piñatas are Mexican traditionally decorated birthday party figures that must be broken by a bat to reveal a good surprise. Trump Piñata – Image by Caty Aguilera. 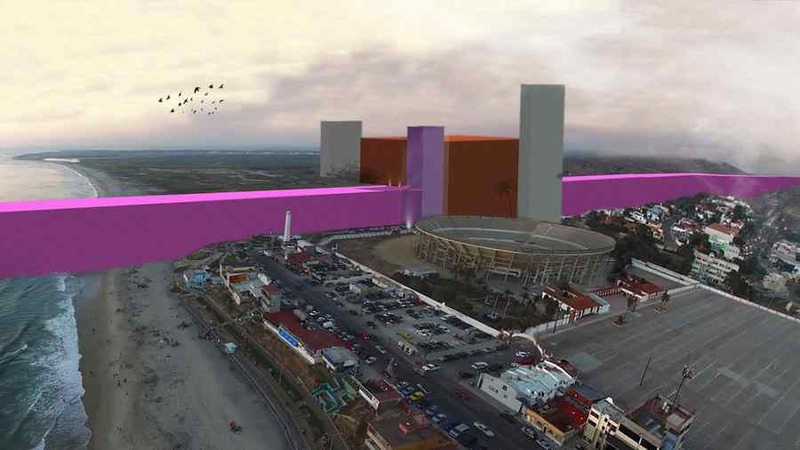 Estudio 314 ironically designed a pink wall running along US and Mexico border after Trump called on a wall dividing the countries in view of a more conservative and controlling policy. 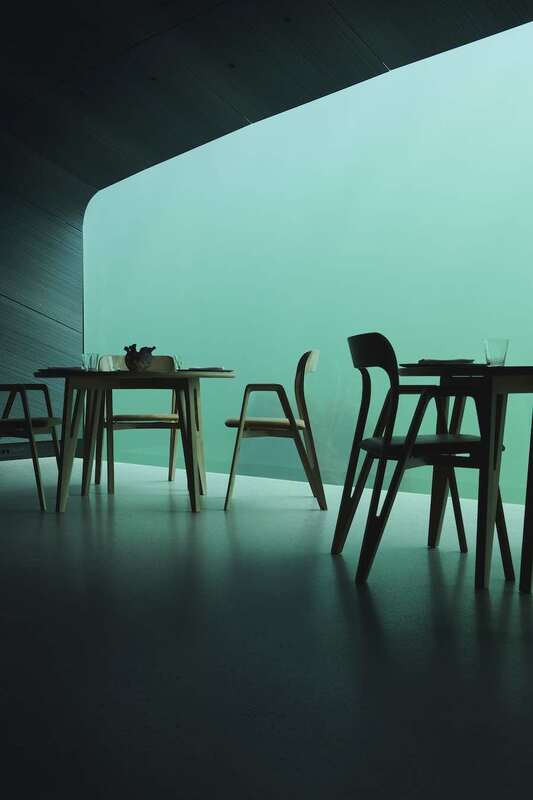 Inspired by the great 20th-century Mexican architect Luis Barragán, Estudio 314 combined the Pritzker Prize winner’ s modernist design with Trump requests. Read more. Pink Wall proposal by Estudio 314. 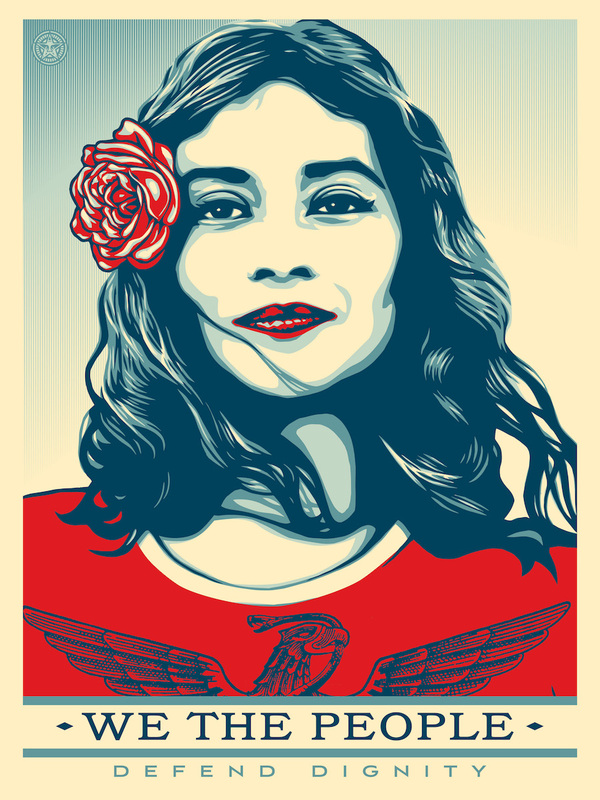 American graphic designer Shepard Fairey who won Design of the Year in 2009 updated his Obama Hope posters not featuring the President elect himself but portraying non-famous women, Muslims, Latinos and African Americans. Major architecture firms and tech giants responded to Trump immigration travel ban for citizens of 7 mostly muslim countries. “Apple would not exist without immigration” said CEO Tim Cook while Airbnb. “We must stand with those who are affected” added Brian Chesky, chief executive of AirBnB that offered free housing to people left stranded by the travel restrictions. Google, Facebook, Netflix, and Tesla joined as well. “The Trump travel ban is an affront to our freedom and core values and affects our employees, colleagues and collaborators” said Daniel Libeskind. “This action actively works against the diversity and dialogue essential to this mission and violates the United States Constitution.”Added Steven Hall. 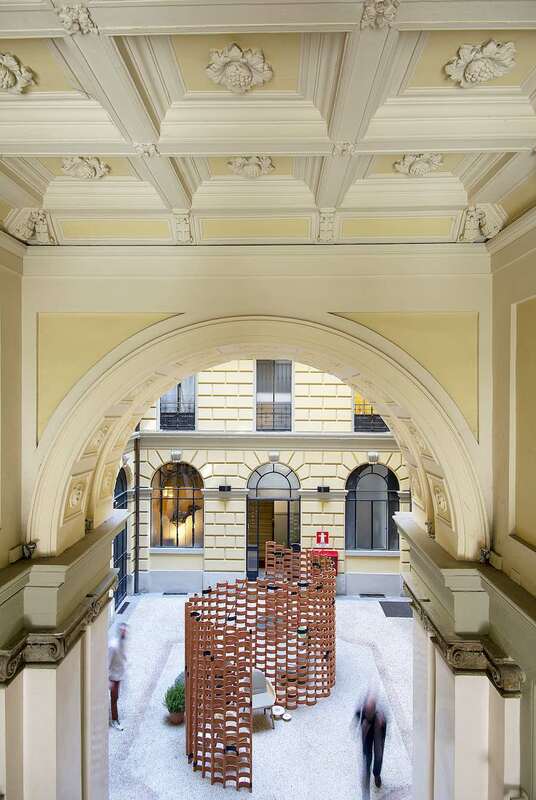 “We are preparing for the worst” said at Swedish-American firm Snøhetta. Trump’s speach – Photo by Gage Skidmore; CC. 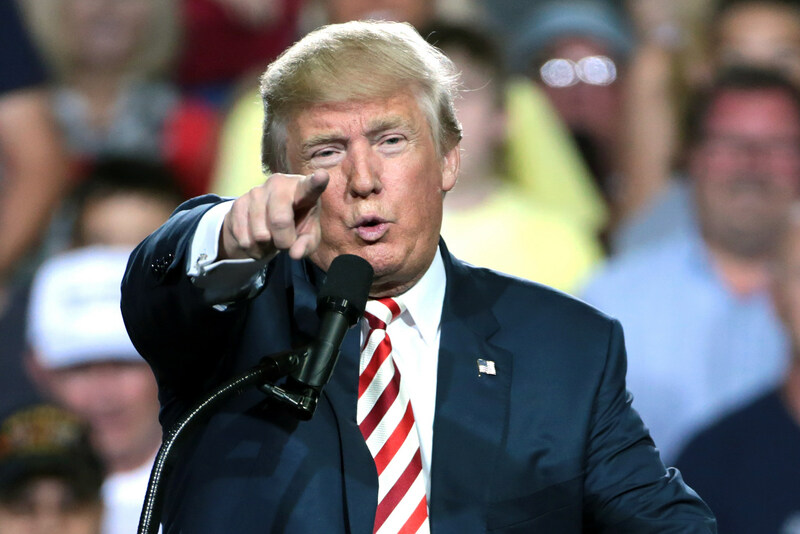 Sustainability might not to be a priority as the President doesn’t seem so committed to continue the participation of Paris Climate Agreement. 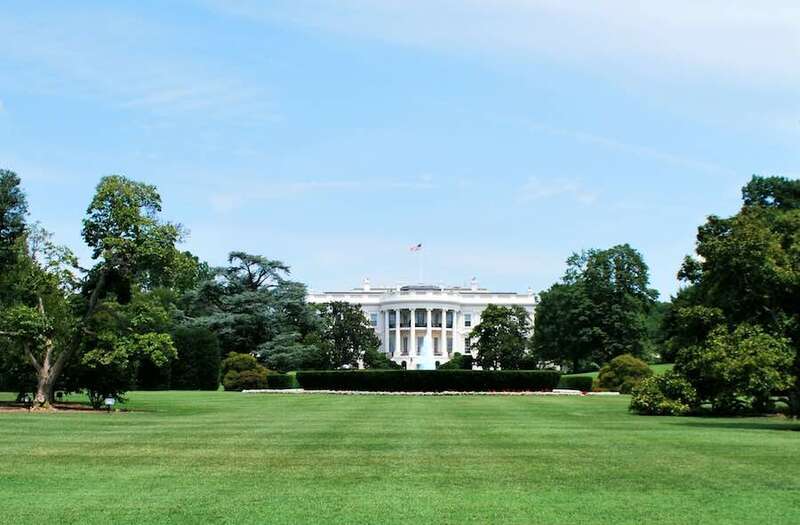 Right after the elections’ result, the AIA – American Institute of Architecture officially expressed concerns about the sustainability policy of the President.Elect – and then apologized hoping for a more constructive future collaboration. 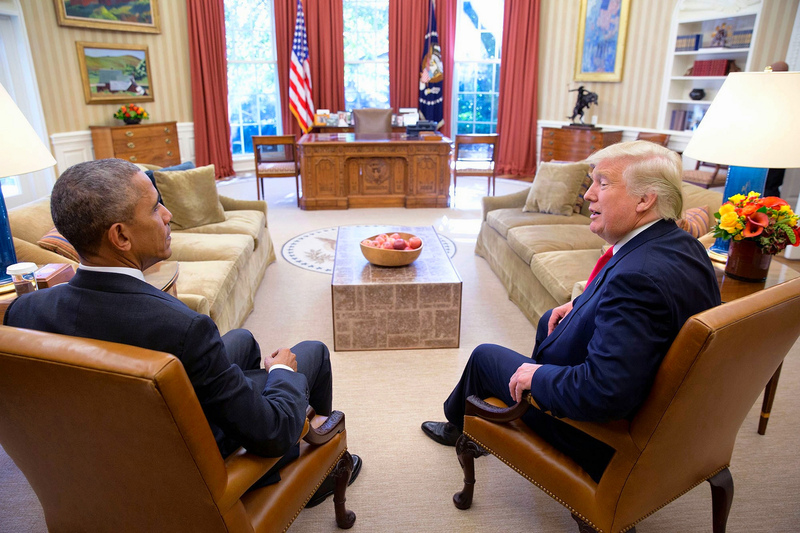 Trump and Obama in the Oval Room – Photo by Karl-Ludwig Poggemann; CC. Design world is wondering who might be Tham Kannalikham, the decorator who is working on the White House private quarters. The Laotian-American interior designer has locked or deleted her social media accounts and her website is password protected. Reports say that the First lady will be adding a Kardashian’s style glam-room for make up and hair style. White House – Photo by ash_crow; CC.